A Star Wars space battle, but it gives you an idea of what to expect in this chapter. I debated back and forth about whether Captain Robert Arden should have his part of the story told. My first decision was to exclude him. He was not really going to be a part of Terk, Jori, and J.T.’s experience. And I worried that I’d clutter the reader with too much information. So I have decided to include Robert’s perspective in this story. In order to prevent my readers from getting bored, I have tried to enrich Robert’s experience with interesting stuff. Now that I’ve made my final decision, I need to insert the chapters with Robert’s point of view. Pretend the following is the very first chapter, before J.T.’s experience on planet Thendi. “Sir! Two Tredon warships just came into view,” Lt. Handly reported. “Shields up!” Captain Robert Arden of the Odyssey was suddenly alert. The gigantic warships had come out of nowhere. They literally just appeared in the empty space around the planet. Robert’s command was implemented just as a hailstorm of firepower fell upon the Odyssey ship. Their shields disintegrated the energy blasts, but the enemy’s efforts would not be in vain. Enough firepower would soon deplete the strength of the shields. Since Tredon warships were known to have more firepower, the Alliance ships could utilize their superior speed and maneuverability to avoid being hit while simultaneously emitting their own energy blasts to weaken the enemy’s shields. Both officers acted immediately. Mock battles with two other Alliance ships had given Robert’s crew plenty of time to practice these past weeks. They knew the Tredon warships would come. They just didn’t know when. Vice Admiral Belmont’s voice sounded through the comm. “Release the Pterodons.” Robert relayed the order to his fighter pilots. Before his first space jet was out of the hull, a swarm of Asps emerged from the belly of the enemy warships. There was a slight chance that a small enemy vessel could maneuver through the Alliance vessels’ shields and destroy targeting weapons or shield generators, so the Pterodon pilots were their next line of defense. One portion of the view screen displayed the jets. Robert monitored the dots representing the numerous squadrons as they engaged in battle. Lights blinked out as Pterodons and Asps were destroyed. Losing a Pterodon jet was disappointing, but at least there would be no pilots to mourn. Unlike the pilots of the Tredon Asps, the Pterodon pilots flew their ships virtually. “Port shields at sixty-five percent, Sir,” Handly announced. “Jensin, kappa maneuver now.” Robert knew that if Handly was reporting this shield level that it had the lowest level of the eight shields, and changing to this maneuver would present the opposing shielded area of the ship. As part of the procedure, Robert entered the data on his console so that the vice admiral and other captains could note the change. Robert cringed inwardly at the number. Never in his career had he lost so many jets before, and in such a short amount of time no less. The Tredon’s obviously had a superior jet fighting force. I wish J.T. were here, Robert thought to himself. Although J.T. had only been his second for a short time, the two of them were proving to be a good match. J.T. excelled in all the areas of command that Robert was only merely competent at, and vice versa. One of the skills J.T. excelled in was strategy. Although J.T. had been part of the strategic planning, the vice admiral sent him to command the ground fighters on the surface of Thendi. Bracht had been sent there as well, and Robert couldn’t help but to feel inadequate right now. Despite his feelings, though, Robert had plenty of experience with space battles. It was why he had been chosen to protect the border between Tredon and the Alliance in the first place. But his experience only told him they were outgunned and quite possibly outmatched. “Handly, which ships are we fighting?” Robert asked his operations officer. Robert resisted the urge to slump his shoulders and tried not to let the bad news discourage him. I shouldn’t have asked. The appearance of the Dragon meant Emperor Kavak himself had come and he brought his most notorious captain general, Brevak of the Basilisk. From what Robert knew about these two, three Alliance ships wasn’t going to be enough to fend them off. The arrival of either the Dragon or the Basilisk had been considered in the strategic council, but Vice Admiral Belmont had decided it was unlikely for both to come. There was a play of politics in his determination. Robert didn’t care to understand the dynamics of it all, but it angered him that the admiral had let politics influence his strategic decisions. This battle might be a small one by Alliance standards but losing it could lead to losing greater battles in the future. The Tredons were already a threat. If they won this battle, they’d have more power than ever before. And it could lead to an all-out war, something Robert had long been hoping to avoid. “Wilshire, direct half your shots at those carriers.” Robert felt his panic begin to rise. The battle was not going well at all. Anaconda carriers could take nearly as much firepower as the warships. It was unlikely that the Alliance ships would be able to stop those carriers from reaching the planet’s surface. Anacondas carried both ground troops and Tredon’s notorious atmospheric jets, the Rattlers. Robert silently hoped J.T. was ready for the onslaught. “Concentrate firepower on the Dragon’s starboard,” Belmont’s voice commanded through the comm. Robert’s instinct was to stop the Anacondas, but Belmont’s decision was a good one. If the Dragon received enough damage, the emperor might very well decide to back off the entire fight. Robert began to sweat now, but sat up straight and tried to look confident. He couldn’t let crew see how crestfallen he was becoming. Their maneuvers were doing no good at avoiding the Tredon’s firepower and it was only a matter of time. “Sir, I just got a report from the Cronus. They’re pulling out.” Brenson’s announcement confirmed Robert’s discernment. That left only the Odyssey and the admiral’s flag ship, the Dauntless against their formidable enemy. Damn. “Jensin, back to the kappa maneuver.” Shield down or not, they had to keep fighting. “Call in the Pterydons,” the admiral ordered. Robert did so. His view screen showed the number of their jets had depleted greatly as compared to the Tredon Asps. Keeping the Pterydons out was doing little good anyway. Ordering them in meant the admiral was likely getting ready to call a retreat. Robert was suddenly jostled violently. His chair restraint kept him seated, but the belt had put a lot of pressure on his body. “Seal the area,” Robert ordered even though Handly was probably already doing so. The ship didn’t appear to move and it was just then that Robert noticed other crew members had been injured. Even though they had all been strapped in, the jolt of the ship had been violent enough to cause some of the crew to hit their heads on their consoles. Jensin was conscious but his head was bleeding profusely and he looked dazed. “Medical team to the bridge!” Robert called out as he tried to unbuckle himself from his chair. Jensin’s backup was completely unconscious, as were the only two other bridge crew members who could pilot the ship. That first impact had been a bad one. “Backup crew, I need you here now!” Robert’s heart raced in panic, but in his mind his body moved in slow motion. Ship alarms were sounding as he finally released himself from his chair and made his way to Jensin’s station. Handly called something out but Robert didn’t hear. The ship shuddered violently again. Robert lost his balance. He reached to brace himself on the edge of the communications console and missed. His arms flailed as the motion of the ship sent him flying in the other direction. We’re all going to die. It was a fleeting thought cut short by a sudden blow against the back of his head. Blackness followed. This next chapter is just a brief overview from Robert’s point of view. Insert this chapter after Terk helps Hanna and Jori speaks to J.T. for the first time, and before the chapter where Terk reports to his father (between chapter 3 and 4 in the blog). Captain Robert Arden was in his ready room with a few of his officers and with the Admiral and other ship captains on the visual comm. Robert’s head throbbed painfully, but he had no time to get medical treatment. He had regained consciousness on the bridge as a medic was examining him. The medic told him he was not severely injured, so Robert immediately returned to his duties. Fortunately, the backup crew had made it to the bridge and executed the command to retreat. They were now a distance away from Thendi repairing their ship and awaiting reinforcements. Ship repairs were going slowly. Because the Dauntless was the last to retreat, it was in the worst shape. 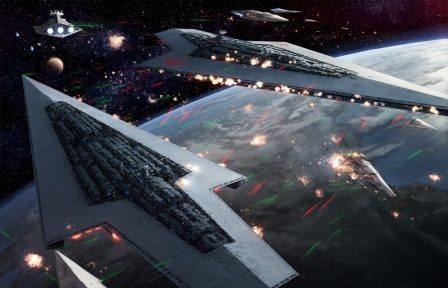 It would be several hours before any of the Alliance ships would be ready to pursue the enemy. In the meeting with the admiral, they discussed how they had lost the battle, and probably the laser too. Prior to the attack, both Robert and J.T. had been vying to get at least five Alliance ships to protect the planet. Robert diplomatically held his tongue about how he and J.T. had been right all along. Robert believed one of the reasons Rear Admiral Belmont did not heed the advice about needing more ships was because he had underestimated the intel that Robert had passed on from Jori. A child was not to be believed, the vice admiral thought. His beliefs were reinforced by the fact that they had not seen any activity along the Tredon border and had not spotted a single Tredon ship on the wrong side of the border. In fact, Belmont was so sure that nothing was going to happen that he had been about to recall the three ships from Thendi when the attack suddenly came. The admiral admitted none of these things now, of course. He found all sorts of other reasons as to why they lost the battle. Robert briefly reflected on Jori and Terk’s stay. Rear Admiral Zimmer had been irate that Robert had let them escape. But Vice Admiral Belmont agreed it was best, and later so did the Alliance Council. Robert was verbally reprimanded and only a brief mention was made of it on his record. There was some good news in this meeting with the admiral. Scores of people had been rescued from the planet. Those people had included the scientists working on the laser. Since the laser wasn’t finished, at least there was a chance the Emperor wouldn’t be able to complete it. And it also meant there was a chance the scientists could start the laser anew and repair the planet as originally planned. Reports confirmed the number dead and the number of crew members still unaccounted for. J.T. and many other crew members were missing. He did not make it with the others rescued from the planet. Lt. Commander Bracht was alive but he was on one of the other Alliance ships awaiting transport. Robert had not yet had a chance to speak to him. Robert reflected on why J.T. wasn’t with him. He was sent to lead the planet ground force. If his crew hadn’t been so well trained, it could have caused them to panic when Robert was left unconscious. Not only had they lost their captain, but there was no second-in-command to take his place. Plus, J.T. was an excellent strategist and he may have come up with an idea that could have helped turn the tide of battle before it even reached the ground. But everyone had their opinion about J.T.’s part in the Kimpke incident. If you are reading this post and have no idea what I’m talking about, then you have probably missed the other chapters on The Kavakian Empire sci-fi saga. Although the part 1 novella still needs a lot of revision and a better plot, I highly recommend you read it first before beginning the much better part 2 novella. All chapters of this sci-fi story can be found in the column on the right under the Categories heading. Note from the author: This chapter intentionally has some portions that lack in structure and/or detail. In order to protect my story from those who might copy it and present it as their own, I sometimes only share the rough draft version. J.T. was resting in his cell with his other cellmates. The pain still throbbed and his thoughts spiraled around an empty void. He wasn’t dying, just out of touch with what was going on around him. Something cold touched his neck. A hiss sound followed. J.T. jerked awake. Terk was kneeling over him with a hypospray. The pain began to subside. “Are we getting out of here?” J.T. asked hopefully. “No, I’m afraid not.” Terk offered no further explanation. He stood and waited for J.T. become more alert. J.T. was on the floor. Harley, Simmonds, and Hanna had the three beds. With the way they were stirring, J.T. guessed that they too had been given something for the pain. Although J.T.’s pain was easing up, he still didn’t have the strength to do more than sit against the wall. Jori handed them all a digiview and began to explain their duties. J.T. noticed he had a black eye and a cut lip. Despite the pain his own body was feeling, his gut churned at the thought of the boy being hit hard enough to leave those marks. Jori handed the last digiview to J.T. and told him to read up on how photons were generated in laser technology. Jori then proceeded to tell the prisoners that the torture was probably over unless they resisted. “What was that you did to us?” Simmonds accused. He sat up on his bed. Terk told him about how the rod worked to send a painful electric charge through the body. “I’ve never felt anything like it. It was awful.” Simmonds was rubbing his forehead. “Yes,” Terk replied bluntly. He did not offer an explanation. Silence as J.T. and the others let that sink in. Simmonds went back to massaging his forehead. Hanna and Harley were still lying on their beds. Both were not yet as alert as J.T. and Simmonds. J.T. broke the silence. “Did you get in trouble for not hurting us?” he asked Jori. “I still don’t understand why you don’t just tell him,” Simmonds whined. He wasn’t there when Jori explained to J.T. about why they couldn’t tell their father how J.T. helped save them. But J.T. had relayed the information. “Do you seriously think a man like my father would care?” Terk’s tone was harsh. “You have no idea what he is capable of. One thing he is not capable of, though, is sentimentality. So say nothing about how we know you or these little visits where we help you to stay alive will stop.” Terk was almost yelling now. Simmonds gulped, nodded his head and argued no further. “We can’t fix that laser,” Hanna replied, barely audible. She still hadn’t risen from the bed. “If you wish to live, you will act like you can,” Terk warned. “Do you have a plan?” Simmonds said. “We make no promises,” Terk added. Hanna tried to sit up. She groaned in pain. “I’m sorry for what happened to you,” Terk told her. “You scared the hell out of me, you know,” she said. Her voice was still weak but it sounded almost accusatory. “Can you blame me?” she said. Note from the author: What did Harley think of all this? Hanna was grateful. She was in pain but wasn’t raped. J.T. held out hope that the boys would help them. Simmonds was defeated. He was the only one in their cell that had begged. But Harley? He was a security officer so perhaps he shared some of Calloway’s prejudice. He was young, so perhaps he was also a bit rash. When Harley became a bit more alert and sat up he made some terse remarks, blaming Terk and Jori for their current predicament. “We did not bring you here,” Terk said angrily. “It is not our fault you were captured. It was your own incompetence. Whether we choose to help you or not is completely up to us so I suggest you lose the attitude.” Terk clenched his jaw and glared at Harley. Harley scowled and glared back but eventually broke eye contact. Terk told Jori to go to the next group of prisoners. After Jori left, Terk spoke specifically to J.T. “I do owe you.” Terk’s features had calmed and he spoke evenly now. “I even admit that you have a lot of admirable qualities for an Alliance officer. And I don’t want to see you die. But helping you is extremely risky. Don’t get me wrong, I’m not opposed to a little risk for myself.” Harley harrumphed. Terk ignored him. “But if my father gets wind of this and something happens to Jori because of you, I will not hesitate to kill you.” Terk’s tone was cold. “Because you’re nothing but a worthless piss-ant.” Terk’s voice was harsh again. But it was too late. Terk lifted Harley by the neck and slammed him against the wall. “Be grateful I don’t snap your puny little neck.” Terk spoke through gritted teeth. His face was dark with anger. “Terk, please don’t,” J.T. said in a tone that was calmer than he felt. Terk held Harley’s eyes in a hard stare while Harley flailed uselessly and struggled to breathe. Damn that boy is strong, J.T. thought. Sure, Harley was injured, but Terk was only about fourteen cycles old and yet he had a grown man pinned to the wall. J.T. had no doubt the boy was capable of killing Harley then and there. Terk finally let go and Harley crumpled to the ground choking. Terk left abruptly without another word. J.T. didn’t blame Harley for his accusation. But it would do them no good to antagonize anyone, especially the only two Tredons who seemed to want to help them. Terk and Jori were their only lifeline. You may share the posts of this novella so long as you link back to this website and mention, The Kavakian Empire by Dawn Ross. Constructive criticism welcome. Please comment below. The prisoners were silent, but the corridor was not. The heavy boots of the Tredon warriors around them tromped loudly in an ominous beat. Every one of the soldiers had a dour look. And every one of them towered over the Alliance crew, surrounding them in an impenetrable wall. J.T. glanced at Lieutenant Tommins walking beside him. His face was pale and J.T. noticed his throat bob up and down, but the man managed to keep the fear from being evident on his face. Lieutenant Junior Grade Patersen also maintained a neutral expression, but sweat formed on his brow. After J.T. had spoken to Jori, he only had a chance to tell his cellmates of their chance for survival. His other crew members probably thought they were marching to their deaths. No one told J.T. where they were going, but he hoped it was to go work on the laser. As they walked on, J.T. caught the look of one of his guards. The big man smiled down at him, showing his stained teeth. His eyes looked almost elated. J.T.’s neck prickled forebodingly. J.T. almost walked into the man in front of him when the Tredon guards stopped. A set of doors slid open and an acrid scent burned J.T.’s nose. He only wondered about it for a moment. One look into the room and his blood drained from his face. Although there were several Tredon warriors gathered in the room, the room was large and there was a lot of empty space. The most notable was the area surrounding a large metal contraption. Heavy steel shafts built a rectangular framework that stood several feet tall. The steel may have once been burnished, but it was dull now with blotches of dark stains. A thick chain hung from the center with two iron shackles on the end. J.T. recognized the smell now—sweat and blood mixed with a cleaning agent that only soured the odor rather than eliminate it. J.T. wanted to spit the taste from his mouth, but his mouth was dry. Jori told him they would be tortured, but J.T. had assumed it would only be if he and his crew didn’t cooperate. Hanna groaned, but J.T. wasn’t sure whether she was groaning from the pain she was already feeling or because she was dreading additional pain. He couldn’t believe what had been done to her. When the Tredon guards dragged her to his cell earlier, he was sure Jori and Terk had failed to keep her from being raped. Her clothes were torn and her face was a bloody mess. She was barely conscious. After the guards discarded her, Harley found the hypospray in her hand and injected it. When she became a little more alert she told them what Terk had done. J.T. was relieved, but felt guilty about the beating she had received. And now she was going to get another. One of the soldiers gripped J.T’s arm painfully and pulled him inside. The move caught him off balance but the vice grip forced him along until he stood a few feet from the front of the contraption. He and his entire crew were lined up before it, then forced to kneel on the cold hard floor. J.T. shivered, but he wasn’t sure if it was from his anxiety or because the room was so frigid. He watched helplessly as Lieutenant Junior Grade Walden was dragged to the device. Tommins cried out to protest but was cut short when one of the Tredon warriors punched the side of his head. Walden struggled and yelled, but he could barely do anything against the giant men who held him. Walden’s hands were immediately shackled and the slack in the chain was taken up until his arms stretched far over his head and his toes dangled, barely touching the floor. He stopped yelling then, but only because he was hyperventilating. “The man’s going to piss his pants before we even get started,” one of the dragon warriors standing behind J.T. said. Another warrior laughed. The room was filled with deep voiced warriors making comments. Some were lewd, others were hateful, and a fair few actually sounded gleeful. The entire room went silent, though, when Emperor Kavak stepped forward. The emperor gave a curt nod to a dragon warrior carrying a long metallic rod. The warrior stepped forward without hesitation and used it to send a spray of blue electricity at Walden. Walden cried out as the blue charge crackled over his body. It lasted only a few moments, but Walden’s scream lasted longer. J.T. felt dizzy and realized it was because he was holding his breath. His neck and shoulders were tensed and his arms flexed from trying to pull his wrists from the cuffs. “Stop, you monster!” J.T. tried to stand, but someone behind him thumped his back hard enough to send a sharp pain down his spine and make him crumble forward. There was nothing he could do. He considered keeping his head down so he wouldn’t have to watch, but one of the warriors grabbed him by his hair and forced him back up. One by one, each of J.T.’s men were tortured with the rod. Every single one of them cried out. A few even begged. J.T.’s stomach clenched with a mixture of fear, anger, and guilt. These were his men. He was responsible for them so it was his fault this was happening. No, not my fault. It’s his fault. A surge of hate washed over him when he looked at the emperor. After getting to know Terk and Jori, J.T. had realized that not all the stereotypes of the Tredons were true. But looking at Emperor Kavak now with his dark eyes and baleful frown, J.T. saw the embodiment of all those terrible stereotypes. Terk and Jori stood on either side of him. They resembled their father in many aspects but neither of them glowered the way he did. Their faces were a complete blank. J.T. wondered what they were thinking right now. Were they enjoying this or hating it? Did they agree or disagree with what their father was doing? Harley’s torture ended. When the guards removed his shackles, he slumped into their arms and let himself be dragged away. Only J.T. and a couple others hadn’t had their turn yet. The warriors weren’t moving to get someone else, so for a brief moment J.T. hoped it was over. Nothing happened. The dragon warriors began to mumble amongst themselves. J.T. began to relax. “Now!” J.T. jumped at the sound of the emperor’s voice. The entire room went quiet. Terk and Emperor Kavak were glaring at one another eye to eye. Well, nearly eye to eye. The emperor stood at least a head taller. They held the stare for a moment before Terk abruptly turned away and stomped over to the prisoners. “Get him up!” Terk pointed to Simmonds. Two guards jerked him up. Terk snatched the rod from the man who had been using it earlier. His expression looked very much like his father’s now. His brow furrowed in anger. His jaw was clenched. And his nostrils flared. J.T.’s gut began to tighten. It was bad enough that the emperor was forcing his children to watch, but this was even more depraved. As soon as Simmonds was secured, Terk unleashed the blue electricity. Simmonds cried out. He begged. At one point, J.T. thought he was going to bring up Terk’s stay on the Odyssey, but Terk shot the blue light at him before he could say much. As soon as Simmonds had received as much punishment as the others, Terk slapped the rod back into the other warrior’s hand and stormed back to his father’s side. While Simmonds was taken down J.T. watched the interaction between Jori and his father. J.T. couldn’t hear what was being said, but there was no doubt that the man expected Jori to do what his brother had just done. Jori shook his head in refusal. The emperor grabbed his arm. His other hand balled into a fist. He bent low to put his face in Jori’s face and said something, probably something threatening. Jori did not cower and he didn’t give in. He shook his head defiantly. J.T. held his breath as the emperor raised his fist. But the strike didn’t come. “Get out of my sight, coward.” The emperor jerked Jori’s arm away so harshly that Jori almost fell. J.T. sighed in relief as Jori marched out of the room. Terk watched his brother leave. He was no longer scowling. The boys were hard to read, but J.T. was certain that it was fear he saw in Terk’s eyes. Hanna was next. The warriors hooted and hollered as she was hung in chains. J.T. heard a number of lewd comments. Hanna was in no shape to retort. She groaned as she hung there and screamed when the shock came. Fortunately, she passed out almost immediately. J.T. worried they were going to keep going, but one of the other warriors made the torturer stop. Two warriors were unshackling her when J.T. was abruptly yanked up. It was his turn. He was the last one, either by chance or by design because he was the highest ranking. J.T. felt his chest tighten as he was being forced into the chains. His heart hammered, but he refused to let them know how frightened he was. They shackled his hands and pulled him upward until his body was taut. I’m not going to cry out. I’m not going to cry out. It became his mantra. But when the blue electricity hit him and surged across his body, J.T. shrieked in agony. The shock of it was astounding and the pain was overwhelming. He’d never felt anything like it before. He broke his arm once while on a hike and was left to suffer for hours before rescue came. But that pain was nothing like this. Even after the first shock was over, sharp pains danced across his body. His head and chest felt like it was going to burst. Just when the pain was starting to subside, another jolt blasted over him. It happened again several more times. J.T. wasn’t sure how long it all lasted, but he was sure they were torturing him more than they had the others. By the time it was over, J.T. felt like his body had been shattered. He couldn’t move. It wasn’t because he was paralyzed, though. It was because he was completely spent. As soon as the Tredon warriors released the shackles, he slumped into their arms. The warriors dropped him to the floor. J.T. mentally embraced the coldness of it. He was so glad it was over. J.T. cringed in horror. This isn’t over. This is just the beginning. Writing a story is not easy. Even if you have the best story idea in your head, getting it down on paper can be a tedious endeavor. One needs to keep track of and flesh out all the details, make sure there are no loopholes, have the three act structure in mind, stay focused on the plot, and so much more. I may not be the best person to tell you about structure and plot, but I believe I have a good process for writing each chapter. I already know the basic outline of my story. For part two of The Kavakian Empire, we’ve seen Emperor Kavak take possession of a laser that can be turned into a deadly weapon. We saw J.T. and his crew of Alliance officers get captured while trying to stop the emperor. We know Terk and Jori want to help J.T. but since they know their father the emperor won’t allow it they have to go behind his back. We also know the emperor has a strong desire to make up for his father’s failings. And we know the Tredons are a warrior race. So how far will a warrior emperor go in order to develop a deadly weapon? And how unlikely is it that J.T. and the other Alliance crew members will willingly do this for him without proper motivation? When writing a story, it is important to understand your characters and why they do the things they do. It’s not enough to have a bad guy do bad things without understanding the reasons behind them. After asking myself the above questions, I decide that in chapter 5 the emperor will set a drastic tone by torturing the prisoners. In his mind, these Alliance men need to know he is serious. He doesn’t want them to sluff off from their efforts. He doesn’t want to have to deal with protestors or procrastinators. As we saw in chapter 4, Terk is to gather the prisoners in a place on the ship called the gallery. Now that I know the what, where, and why of this scene, I need to decide who will be there and how it will be done. * Who: All the Alliance prisoners, Emperor Kavak, Jori, Terk, and several Tredon warriors. * How: Will they all be tortured at the same time? This doesn’t sound easy, so I decide one man (or woman) will be tortured at a time so that the others can watch. A device is wheeled in. It is basically just a metal frame with shackles hanging down where a man can be hung by his wrists. Torture can’t be too severe. The emperor has already expressed his desire to give them a “taste”. I then ask myself if there is any other information I want to convey in this chapter. I’ve decided Jori and Terk will be expected to witness it, but will they be expected to actually participate? And if they are expected to participate, will they do as they’re told? – The Alliance prisoners will be brought into the room. Describe the room, the metal frame with shackles, and who is in the room. Try to implement other senses besides sight when describing. Smell, sound, feeling, taste? – Emperor Kavak will lecture the men (and woman) on what is going to happen and what he expects the results to be. – The first Alliance man is hung from the shackles. He is whipped, zapped, beaten, or all three. He cries out as the other prisoners watch. Other prisoners get their turn. – Terk and Jori are told to administer some of the punishments. – J.T. is tortured last and worst because he is of the highest rank. – When it is over, the emperor gives another brief lecture. You may have noticed that I prefer to write my story from the third person point of view. And I have different characters give their point of view at different parts of the story. In thinking about this particular chapter, I think it makes the most sense to have this chapter told from J.T.’s point of view. – J.T. is afraid. The Alliance prisoners are made to kneel on a cold floor. The room is also cold, and it smells musty or something. One of the Alliance men is hung on the shackles. The emperor, Jori and Terk, and several Tredon warriors watch. Some watch without expression, like Jori and Terk. Some watch with gleeful anticipation and J.T. hears derisive laughter. I realize that Hanna had previously been in a separate place from the prisoners and had probably already been beaten. So I have three choices: 1) not have her in this scene, 2) have her show up with the rest of the crew and have J.T. assume she’s been raped, or 3) have J.T. reflect briefly on what he knows of Hanna. Hanna was brought to his cell earlier. She had been beaten and bruised. But she was conscious and she told J.T. that Terk helped her. – I haven’t decided yet on what the emperor will say in this first lecture, but it will be brief. – All the prisoners cry out from the torture. Some will even beg. I will only focus on one or two but I do not want to go into morbid detail. It will be noted that Simmonds and a few others will beg while Hanna, Harley, J.T. and a few others don’t. Hanna does not get as much of a punishment because she had already been injured by Lank. – Jori refused to participate. J.T. sees that the emperor is angry about it but he doesn’t push the issue. J.T. sees Terk hesitate but he ultimately decides to do what his father wants. J.T. feels sorry for them both. – When it is J.T.’s turn, he is determined not to cry out. But he is surprised at how much it hurts. He’d never been tortured before. He broke his arm once while on a hike and was left to suffer for hours before rescue came. But it was not like this. This was sharp and continuous. – The emperor makes it clear that he has torture methods that are far worse than this, but he will hold back so long as they cooperate. He mentions a man named Alkon and gives morbid details on what Alkon will do. J.T. is sickened by what he hears and when he looks at Jori and Terk, he thinks he sees the revulsion on their faces too. It is difficult for him to tell though, because both Jori and Terk are good at keeping their faces blank. I can add more detail to the timeline again if I want. Or if I think I’m ready, I can start to write in earnest. I think I’m ready to get started on this one. Is it possible that the story will change when I actually start writing it? Absolutely. When you write, don’t feel limited to the structure of your timeline. You may find some information to be too much or too boring. You may decide a certain part isn’t necessary. Or you may find that you need much more detail than your timeline suggests. Either way, that’s okay. The timeline is just a tool to help you build structure and focus. Every writer has their own process. So if you’re writing a story for the first time, give my method a try. If it doesn’t work for you, there are many other methods used by many other writers. Find what works best for you and write away! “The results of the scan we did on the prisoners, Sir,” Terk said to his father. Even sitting behind a desk, the big man looked domineering. He wore a perpetual frown that was beginning to crease his face with age, but it was a mistake to see him as an old man. His father was as powerful as any warrior, if not more so. Terk felt feeble in comparison, but was confident that he was only a few years away from matching his father’s physique. “How many?” his father asked brusquely in his usual deep-toned voice. “Define questionable,” he father challenged. “They are junior grade officers who have only minored in the sciences.” When Jori had given Terk the altered records, he told him he made it look like all the officers had at least some useful skills. It would have been too suspicious if everyone had been made an expert, Jori had said. And Terk agreed. “And you think a minor education is worth keeping them alive for?” his father said with a hint of suspicion. Terk didn’t like to kill people without just cause. His father knew this and considered it a weakness. “Even a minor education is more than most of our men have in this field,” Terk replied in a disinterested tone. The man glared at Terk, as though trying to discern whether he was just trying to get out of his duty. Terk stood motionless, though he felt a flutter on the inside. He suppressed the urge to swallow, knowing his father would notice the movement. His father’s doubt was palatable, but Terk managed to hold the neutral stance until his father turned to peruse the files. Terk understood Jori’s desire to help J.T., and even to help the woman. But to try and save all ten of them was pushing it. Their father had reason to be suspicious. Although it was well known that Alliance officers were required to have a diverse education, Terk was afraid making all ten of them appear to have value might make the deception obvious. The laser had been dismantled and brought aboard some hours ago. There had been only a few minor incidents. An Alliance ship harried them from time to time, but with little affect. Some laser parts had been broken but Jako assured they could be fixed. Neither of these things slowed them down and so everything had gone according to his father’s plan, except they hadn’t captured any real scientists to finish the laser. Father’s going to be pissed when he realizes they’re worthless, Terk thought to himself. Jori’s only prolonging the inevitable. Terk suppressed a sigh of relief. He could no longer sense his father’s suspicion. The ruse worked for now. “Yes, Sir,” he replied. Terk clenched his teeth and held back a desire to argue. He knew what his father meant to do. The gallery was only used for one purpose. As much as Terk wished otherwise, he knew that debating it with his father would be pointless. Well, at least they will get to live, he thought. Terk’s heart skipped a beat. “What do you mean?” he asked, knowing full well what his father was referring to. Terk sensed his father’s annoyance but couldn’t tell if he was also suspicious. “He was with me,” he replied, hoping Jori had given or would give the same excuse. His heart pounded in his ears, but he managed to keep his nervousness from showing. “I thought he was supposed to,” Terk lied. “He was supposed to help with the laser,” his father said angrily. “Yes, Sir.” Terk’s heart was still racing. “That will be all, then,” his father said. He outwardly appeared to accept the lie, but Terk could sense his aggravation. Terk didn’t want J.T. to die either, but he was willing to accept whatever his father decided to do. It wasn’t like he could do anything about it. But Jori refused to do nothing. This wasn’t the first time he had gone behind his father’s back to help someone. And Terk was scared that one of these days he was going to get caught. Damn him, Terk thought. Why do I keep enabling him? I should just put an end to the prisoners and be done with it. Note from the author: I’ve been told that I give too much information and bore the reader, so I wasn’t going to include this chapter. We already know from chapter 3 that Jori has altered the Alliance crew’s records, so this chapter would seem to be redundant. However, I realized there are a few plot holes that needed to be filled. The reader needed to know that the laser was successfully dismantled and taken and that they were on their way back to Tredon territory. Also, the reader knows why Jori wasn’t in the laser room like he was supposed to be, but did his father suspect anything? Another reason I decided to include this chapter has to do with setting up the events that will occur in future chapters. Terk and Jori’s relationship with their father is an important element to the story. And giving a little more insight to Terk’s character will help the reader understand his internal struggles and motives. So what do you think of this chapter? Constructive criticism is welcome.